It took far too long in the eyes of many, but when BlackBerry first brought BBM to both Android and iOS, the app and associated service was met with a tepid response at best. While it’s true that BBM has, or at least had a core user base that was propping BlackBerry up despite its many failings, alternatives like WhatsApp left Android and iOS users wondering what all the fuss was about. It didn’t help that the apps weren’t great, either. Today BlackBerry is seeking to rectify that by releasing BBM 2.0 on both the Google Play Store and the App Store, which was first promised back in December. More than just a new version number, this new release brings with it a few important additions as well as at least one that sees BlackBerry take Microsoft on in the VoIP market. The reason for that is the new voice call feature that BBM 2.0 has. Skype-like in the same way as all VoIP services have to be, this new feature allows those with BBM to speak to their BBM-toting friends so long as they have a data connection. 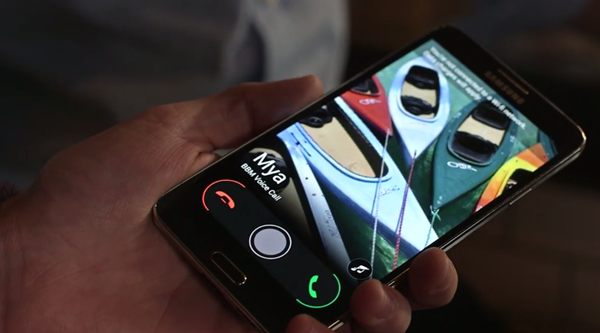 As is so often the way, those calls are free, meaning Skype just got some competition. With the likes of iMessage already offering a similar feature, the days of text-only messaging services may be coming to an end. Also new in BBM 2.0 is Dropbox support for sending files to each other as well as support for large BBM rooms, perfect for businesses that have enough people in them to hit the previous limit – now rooms can hold up to 50 individuals. Oh, and the ability to send pictures, files and audio clips has been added alongside that aforementioned Dropbox support. While they’re there they’ll be able to use some of the new emoticons. Yes it’s not going to get the blood flowing, but in a world where BlackBerry is still seen as a business-oriented firm, things like this are worth mentioning. The most interesting addition for us has to be the Glympse-powered location sharing. 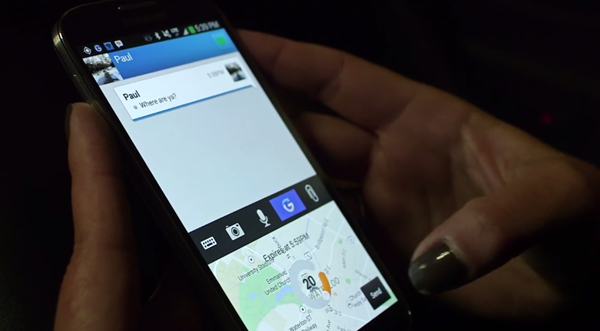 Now, someone with BBM can let their meeting attendees know that they are running late while sharing their location in real-time. Nice maps and a little dot mean people won’t ever wonder where you’ve gotten to again. 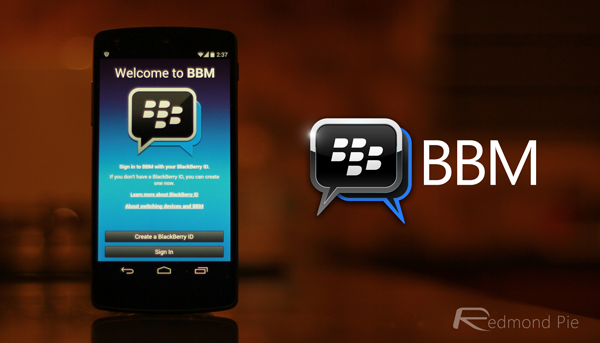 Even with these new additions, we’re not sure there’s a great deal of room for BBM on Android or iOS. Competition is fierce, and no matter how many emoticons BBM 2.0 has, it’s still got a fight on its hands if it wants to break new ground on either platform.